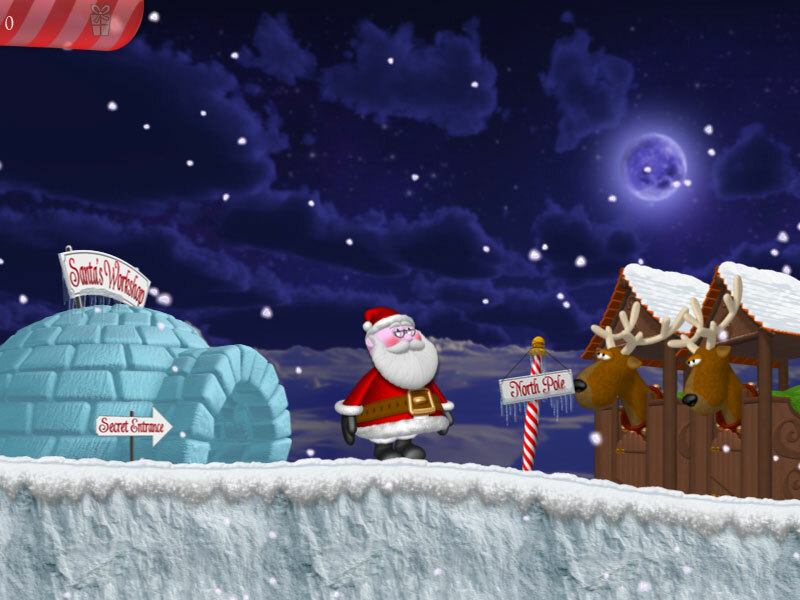 Everyone is sound asleep, while up in the North Pole, Santa Claus is getting ready for his deliveries. Christmas presents destined for children around the world lie safely in his sack, and his sleigh has been equipped with the latest time-saving technology. But this year, things will not go as smoothly as planned. 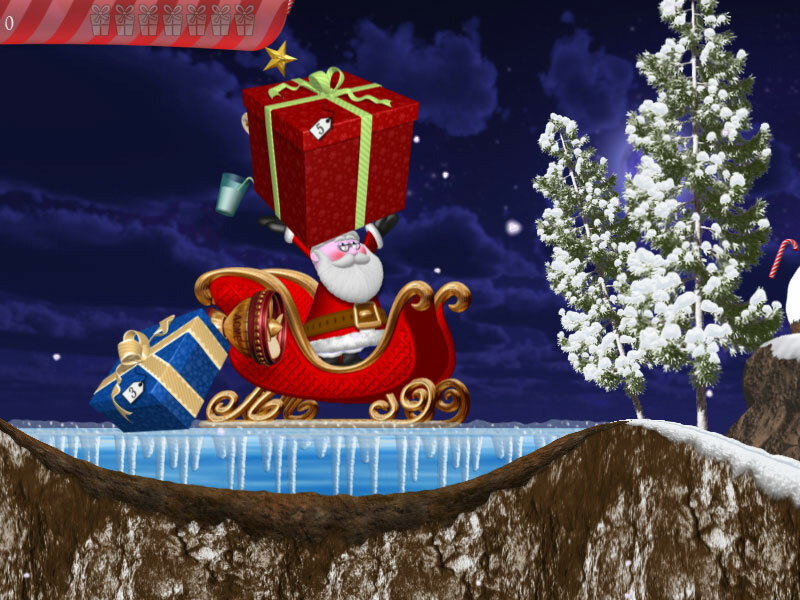 A sleigh accident will scatter thousands of presents over the landscape, forcing Santa into a race against time to gather and deliver them in time for Christmas morning. Sunrise is quickly coming... Help Santa make his deliveries and give children everywhere a Christmas they'll never forget! 10 levels — travel around the world! 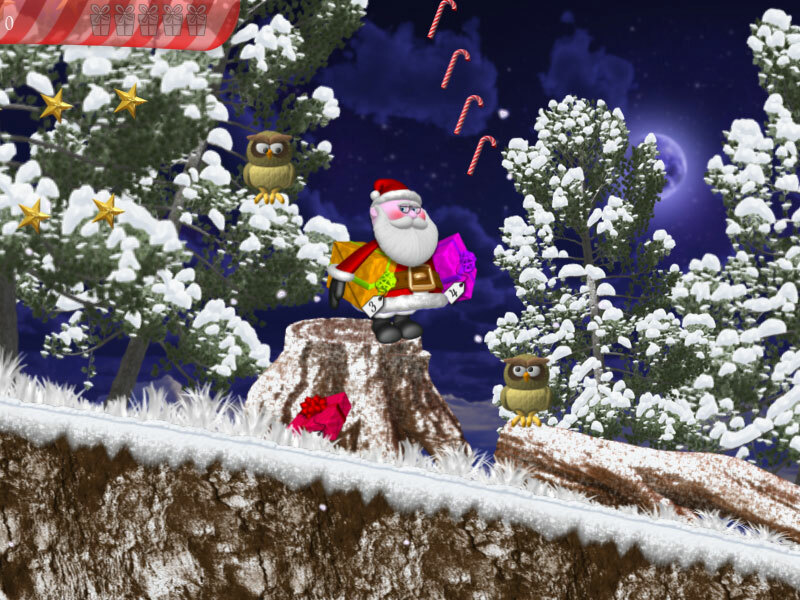 Christmas items — collect all 10 different types! 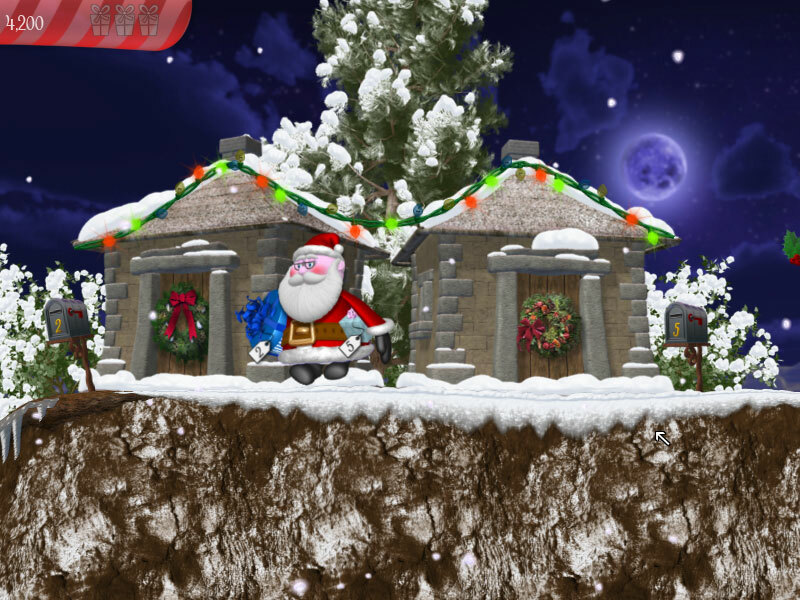 Original seasonal graphics and music.